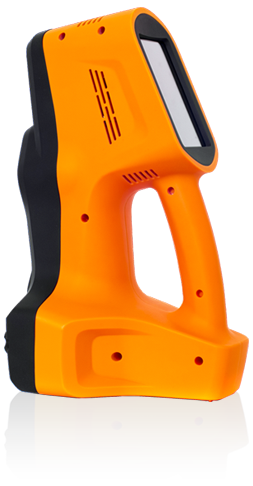 Thor3D is a wireless, hand-held 3D scanner for large and medium objects (1-10m sized) such as humans, cars, yachts or statues. With a touch-screen and a built-in computer and battery, bring this device anywhere your job takes you. Thor3D has a large field of view, it is wireless and hand-held. 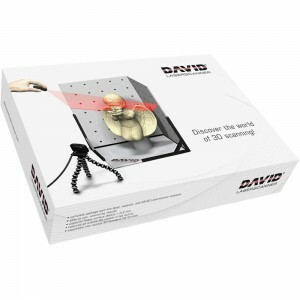 This means that you can take this 3D scanner in your hand, walk around the object and digitize it in minutes. It’s like using a video camera. The touch-screen on the scanner shows you what it is capturing in real time, at up to 10 frames per second. Category: 3D Scanners. Tags: 3D printing, 3D scanner, THOR3D. 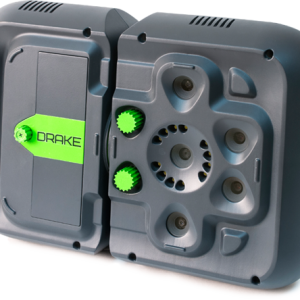 Drake is a portable, wireless 3D scanner that can capture almost any object, large or small. It is the first hand-held 3D scanner that has interchangeable lenses which allow the user to scan any sized object: from a coin to a yacht. Thor3D’s Drake is a device that has three swappable sets of lenses which are often called “heads”. Each head has a name (Mini, Midi, Maxi) and is used for scanning different types of objects. So one scanner with all three heads will let you scan almost any object (except maybe a building or a mountain) with one device. This way you can subsequently scan all sides of the object, and finally combine them to a closed 360° model. The modular hardware setup allows a flexible adaptation to your object – any size from coin to couch is possible! The results can be exported into common 3D file formats (OBJ, STL, PLY) and processed in other applications, e.g. for rapid prototyping, inspection, product presentations, archeology and cultural heritage, works of art, computer animations, video games… The limits are set only by your imagination!